Ok, so what I like about this lipstick is that it fills the ‘gap’ in between the pink and coral shade I already have in my collection – I have pinks, nudes, peach and all sorts in there.. but this brings the colours of peach/pink together into one shade that I absolutely love. 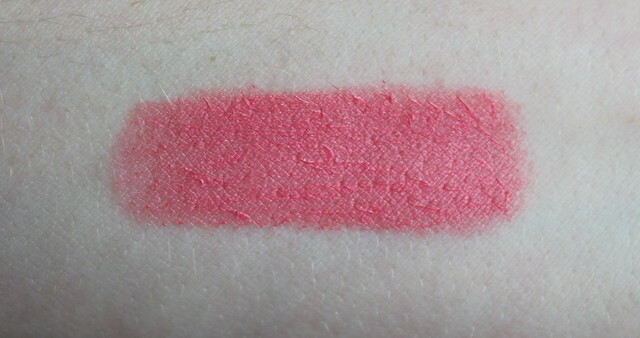 Like the other Topshop lipsticks this one is creamy and well pigmented and leaves a sort of creamy but matte finish. This manages to be bright but not *too* bright, so maybe if you wanted to make a bit of a statement in the day, but not draw stares from strangers. 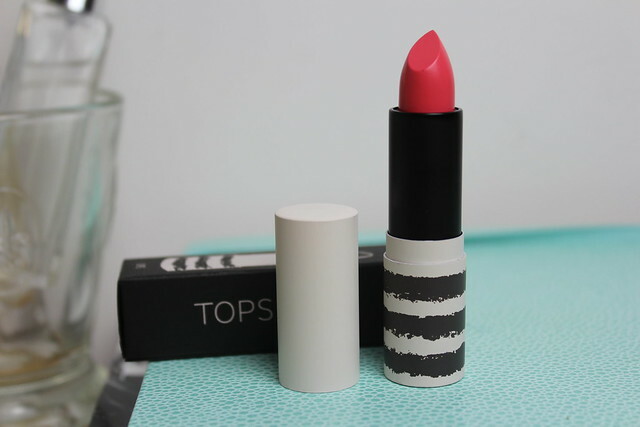 I need to do an updated Topshop Lipstick Collection Post! I still have yet to actually try Topshop make up (I know, I know!) but I think I may have to give this a go – the colour is lovely! so annoying how I haven’t tried any topshop goodies yet because we dont have makeup in our one here!